OppoK9Lock - National Dog Day! National Dog Day is here. And Kinja won’t let me insert photos into comments. So, here are my dogs. 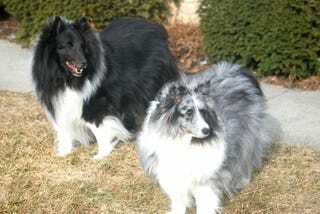 Wolfy and Milo (Shetland sheepdogs). I suggest all good Oppos post their dog photos here.